10 Free St. Valentine's Day Icons ??? Every now and then, we release useful freebies for all of our highly valued readers. 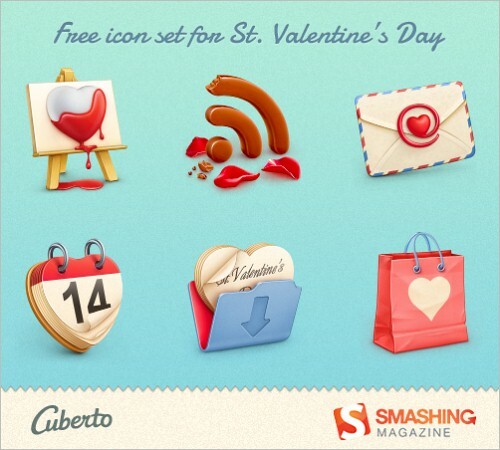 Today, it is our pleasure to present to you Cuberto’s fantastic St. Valentine’s icon set — exclusively designed for Smashing Magazine and its loyal readers. The icons presented are available in transparent PNGs as well as Photoshop PSDs (128x128 px) and are perfect for any projects you have coming up for St. Valentine’s Day. Enjoy! This icon set is completely free to use for commercial or personal applications without any restrictions. Please link to this article if you want to spread the word. 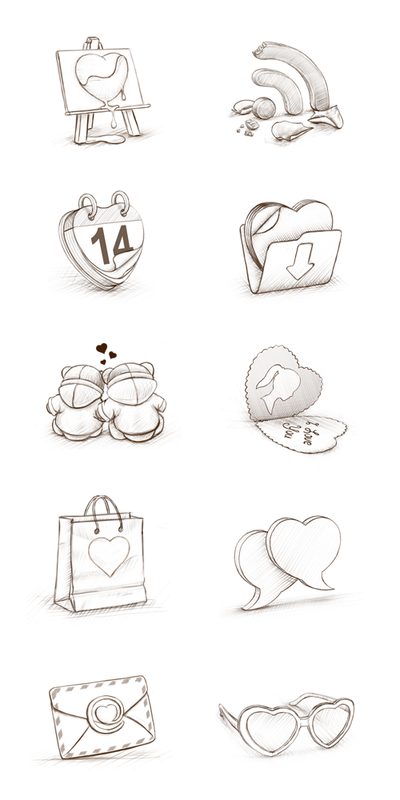 Initial sketches of Cuberto’s St. Valentine’s icon set. Quick preview of the icons in the set. Thanks Cuberto, we sincerely appreciate your time and your intentions!